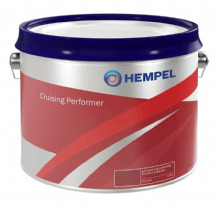 Hempel/Blakes Cruising Performer Antifouling, developed to maximise the qualities associated with erodible antifoulings, cruising performer has been formulated to offer great all round performance. The very latest eroding technology reduces the build up of paint, maximising crusing capability in all areas, whilst ensuring fouling is kept to a minimum. 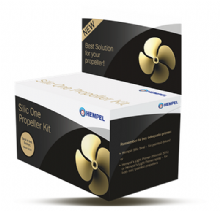 Hempel Cruising Performer has an excellent coverage rate, offering the very best in value. Do not use on aluminium or other light-alloy metals. 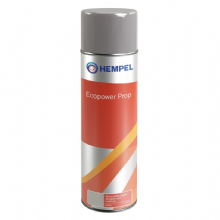 Hempel Ecopower Prop (Formally Mille Drive) is an acrylic-based biocide free underwater coating (insoluble matrix). Supplied in a 500ml spray can, it's recommended to be used below the waterline as a protective coating for propellers, outdrives and bowthrusters. It is recommended for areas with light environmental demands. For cold waters. Available in Black 19990 and Volvo Grey 10430. Semi flat finish. 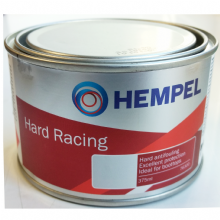 Hempel/Blakes Hard Racing antifouling is a high strength burnishable antifouling which gives a smooth racing finish, offering all round competitive performance. 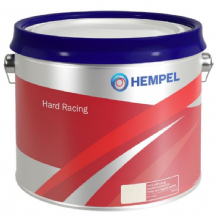 Formulated especially for powerboats, racing yachts and vessels which are mud berthed; may also be used on vessels that are dry sailed. Suitable for all substrates except aluminium. For use below the waterline. Maximum launch time 3 months. Only white is suitable for use on aluminium or other light-alloy metals.